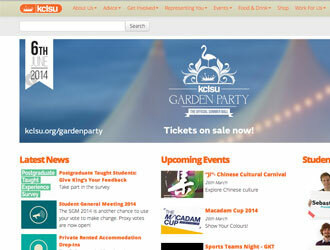 KCLSU came to us in early 2013 looking for a complete overhaul of their website. We worked in tandem with their in-house team to produce clean, bright, easy to use interface that worked across all devices; since then we have provided support for graphics and web. The process is still ongoing and we finished the last big visual update in 2017. 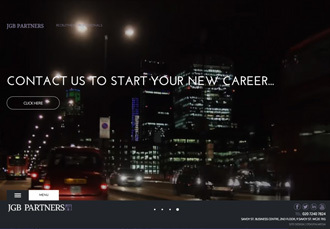 JGB Partners came to us as a start-up recruitment company in need of a complete package. Initially we worked through logos and corporate branding, refining and defining a style that summed up their 'boutique recruitment' approach, eventually settling on a purple and black colour scheme, tied in with full colour cityscape photography. This scheme was carried through on the website, business cards, stationary, and literature. Seventeen Digital Media designed and implemented all of the online and IT systems for JGB partners. They are always there at the end of the phone to provide solutions to any query that we have. Before we employed them we didn’t know where to start in this area we now have a cutting edge website and social media system. Jim Gervaise-Brazier, JGB Partners. With a video specifically created for the homepage and a radical bottom menu system, the site certainly stands out from the crowd. The website build involved a complex job display and application section on the front-end and an even more extensive job management system integrated into the back-end CMS. A simple to update blog was added, as well as a full newsletter subscription and creation system. 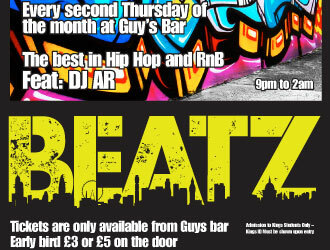 Once again, the site was built to be fully responsive, giving easy access via any form of tablet, phone or web browser. A mobile app was constructed, using all the functionality of job component directly off its home page. The set up was completed with various levels of social media integration including an auto-tweet function for the latest jobs added to the site. Seventeen Digital Media also manage JGB Partners SEO and online marketing, providing them month on month with a sizeable stream of web traffic. 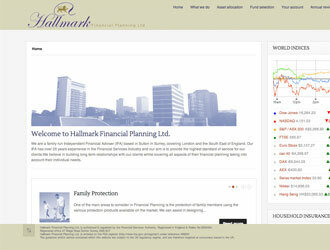 When we were contacted by Geoff from Hallmark Financial Planning, he was looking to update and future-proof his web presence, concerned by the 'Post PC' world and the need for information to be available on a plethora of devices. Hallmark were looking for a flexible solution that still complied to the stringent outlines set up by the FSA. We are really happy with the work Seventeen Digital have done on the website, the responsive architecture works really well and is a great solution to the problem. Geoff Clamp, Hallmark Financial Planning. Using an adapted version of the MooTools 'Masonry' web architecture, we created a responsive website capable of easy viewing on any devices without the need for limited 'phone only' versions of the site. The site physically rescales itself and the various components rearrange themselves on the page to fit different screen sizes dynamically. The style was kept clear and clean, classic yet totally 21st Century. A full CMS system was added to simplify updates and help keep the site up-to-date in the ever changing world of financial planning.